STAGE PRESENCE: Nov. 8, United States. 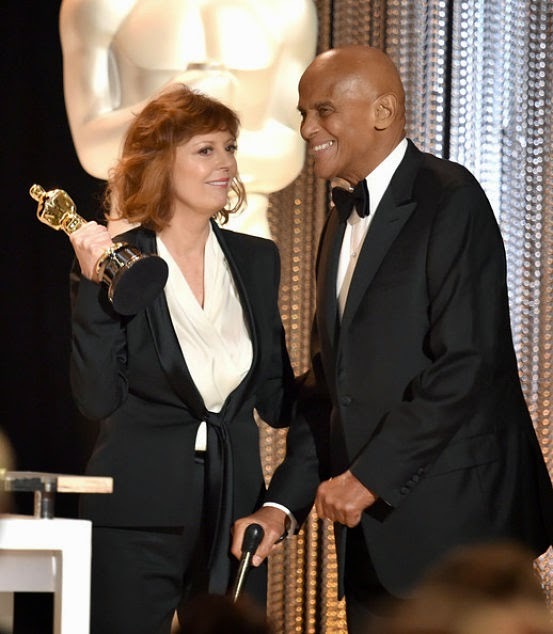 For sterling and decades-long humanitarian work across the world, film, stage and music icon Harry Belafonte was presented with the Jean Hersholt Humanitarian Award by fellow living legend Susan Sarandon during the 2014 Governors' Awards ceremony at the Highland Centre in Los Angeles, California. Heartiest congrats to Mr. B on landing such an uberprestigious accolade whose past recipients include Oprah Winfrey. ART AND LIFE: Nov. 8, Kingston. Opening weekend of the School of Drama's Dream on Monkey Mountain attracted the likes of actress-dramatist Jean Small, pictured here with noted musician M'Bala, who was among the drummers/percussionists performing in the show, staged at the outdoor ampitheatre. SUNDAY BEST: Nov. 9, Kingston. A host of public notable figures, including Youth and Culture minister Lisa Hanna, and arts community stalwarts like Tony Wilson, stepped out in support of the Stella Maris Ensemble's 2014 season of dance at the Little Theatre last weekend. DYNAMIC DUO: Nov. 11, Kingston. Last Tuesday's well-attended launch in celebration of Texas-born missionary, musician and philanthropist Burt Herrin's new album, Lightning Bolt, drew appearances from reggae industry heavyweights like Tony Rebel (right) seen here with Herrin moments before he hit the stage at The Essence's Tuesday Night Live show at King's Plaza. THE AUTOGRAPH MAN: Nov. 11, Kingston. Ahead of his mainstage performance, alongside the Global Warming Jamaican Band, Herrin passed the time adding his signature to promotional posters which were later distributed to concertgoers. Proceeds from the album sales will go towards funding Herrin's Fed Up with Hunger campaign, set to benefit kids across the island. 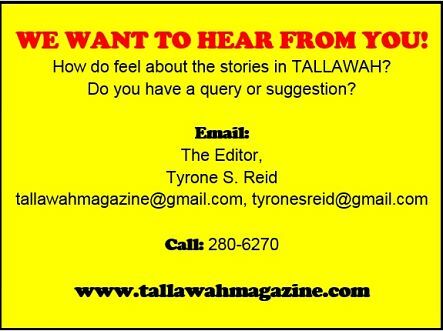 Read more about the initiative here.